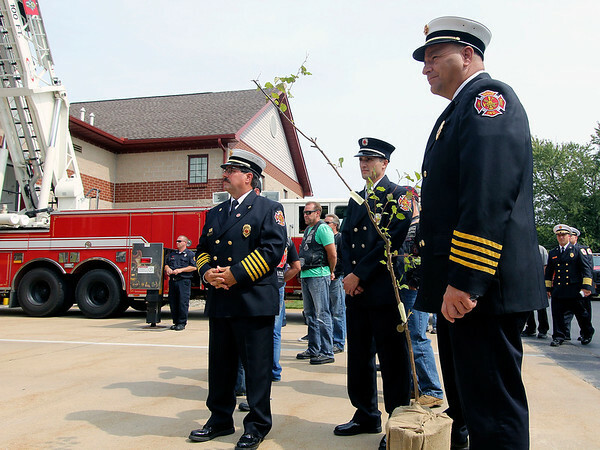 Goshen Fire Department Chief Dan Sink, fire inspector Matt Stamm and Assistant Fire Chief Mike Happer stand with a commorative 9/11 sapling at a ceremony Monday at Concord Fire Station No. 1 on C.R. 18.